::: Eddie Nicholas 'Shakes It' On Down with his Exciting New Release! IN STORES ON 12/2 and on Traxsource 11/18 - PRE-ORDER NOW! 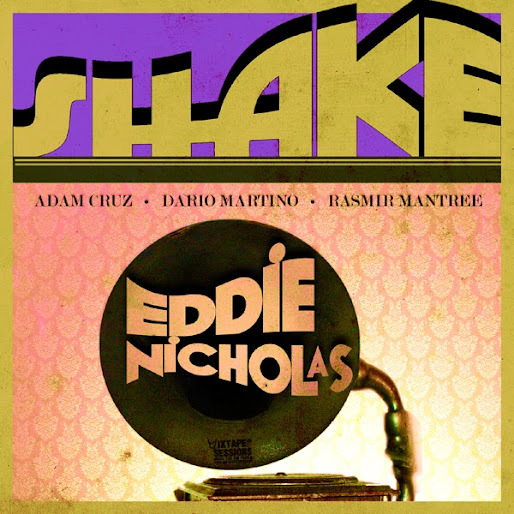 Eddie Nicholas 'Shakes It' On Down with his Exciting New Release! IN STORES ON 12/2 and on Traxsource 11/18 - PRE-ORDER NOW! Music written by Dario Martino. Dario Martino's Original Mix and Vocal Remix produced by Dario Martino in Birsfelden, Switzerland. Rasmir Mantree's Shake n Bake Mixes produced by Rasmir Mantree with additional production by Adam Cruz. All mixes mastered by Adam Cruz at EbbnFlow Studios, Bloomfield, NJ. Published by Mixtape Sessions Music (ASCAP), D E K MUSIQUE (ASCAP), and Dario Martino (SUISA). Executive Producers: Adam Cruz and Eddie Nicholas. ©2013 Mixtape Sessions Music, LLC. All Rights Reserved.